It’s amazing what different artists can do with the same idea. 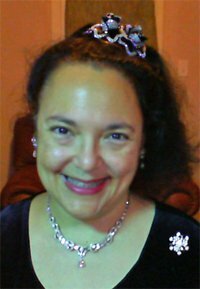 Boucheron made this curved diamond tiara c. 1910 in London. 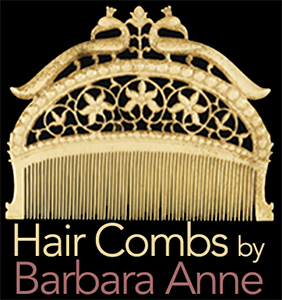 One could attach it to the blonde tortoiseshell comb fitting with a screwdriver. It sold for 15,600 GBP on December 15, 2005. 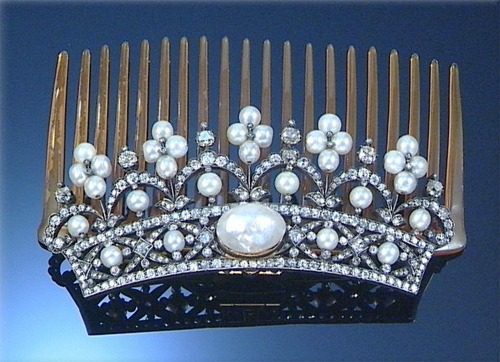 This diamond-and-pearl tiara hinged to a tortoiseshell comb is unsigned. In the center is large natural pearl, which can be taken out of the diamond openwork surrounding it. c. 1890. Sale price: 13,200 GBP on June 29, 2006. 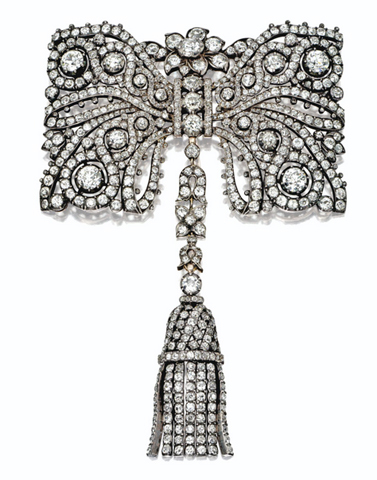 Using diamonds to make this brooch look like lace, Cartier added comb and choker fittings together with a screwdriver. c. 1890. It sold for $181,000 on December 4, 2007. 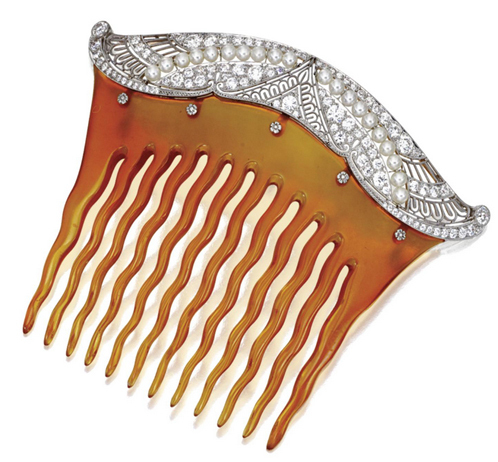 Tiffany & Co. aced Art Deco design in this arrangement of diamonds, seed pearls, and platinum openwork, set on a tortoiseshell comb, c. 1910. It sold for $11,875 on December 9, 2008. I’ll end with Art Nouveau master George Fouquet. 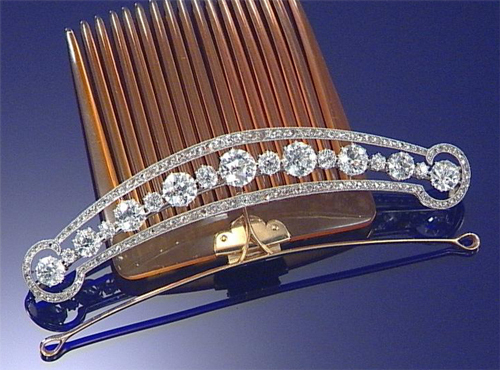 He scrolled the top of this comb, making opal leaves, flowered with diamonds. 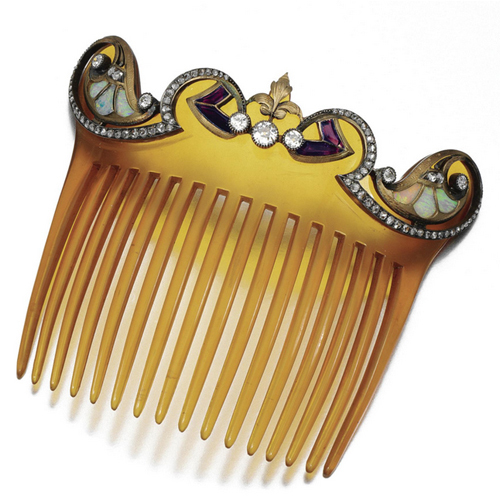 A centerpiece of amethyst, diamonds, and gold completed his blonde tortoiseshell comb. c. 1900. Signed G.Fouquet, it sold for 7500 GBP on December 15, 2009.